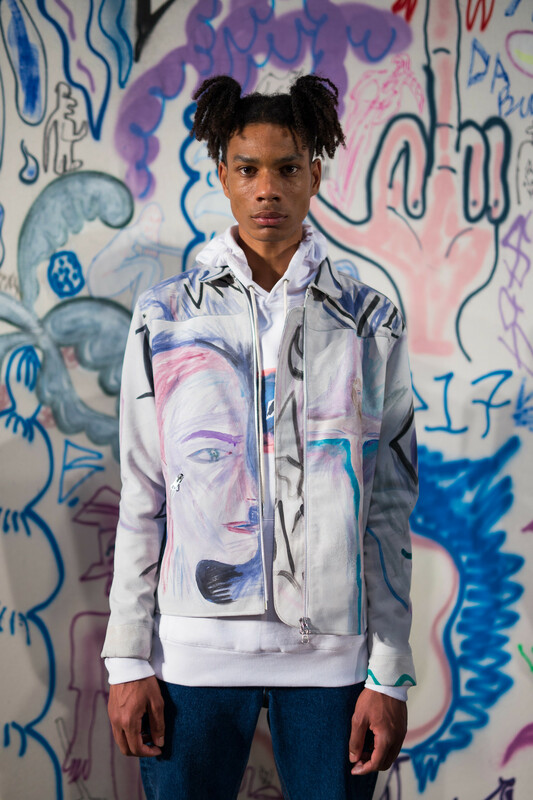 Against an expansive backdrop of graffiti artwork, the Soulland SS16 presentation was designed in collaboration with American artist Charlie Roberts, whose creative interpretation of pop culture is printed not only on canvas, but in elements of the Iron Wheel Club collection. Inspiration derives also from the history and influences of African-American culture, from the the smooth 1920s jazz era to present-day hip-hop and biker gangs. (Not that these garments are limited to those of Afro-American origin.) 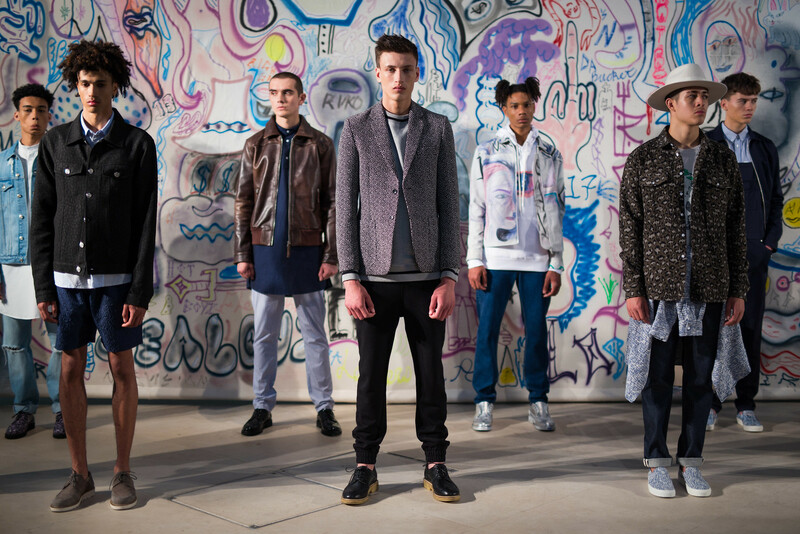 The result is a very wearable menswear collection that spans between clean-cut and collected. 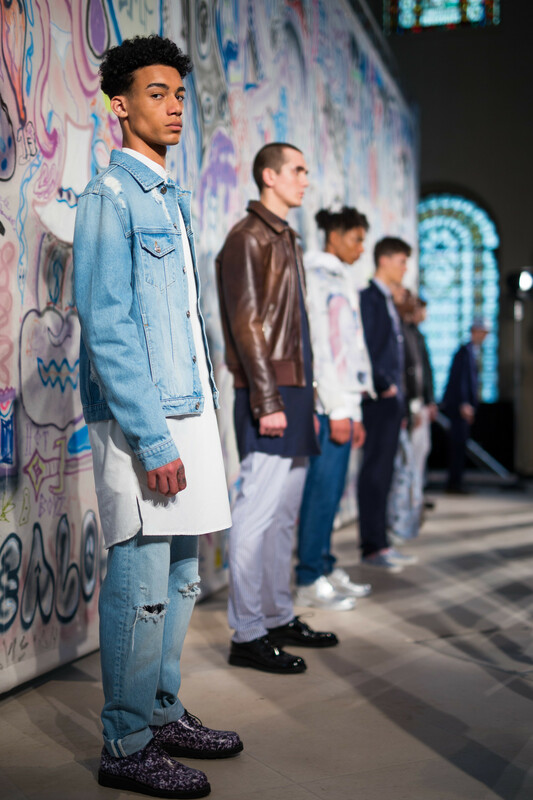 The jackets stand out for me in particular - Harrington, western, bomber and blazer, individually styled in heavy leathers, denim and patterned fabrics.